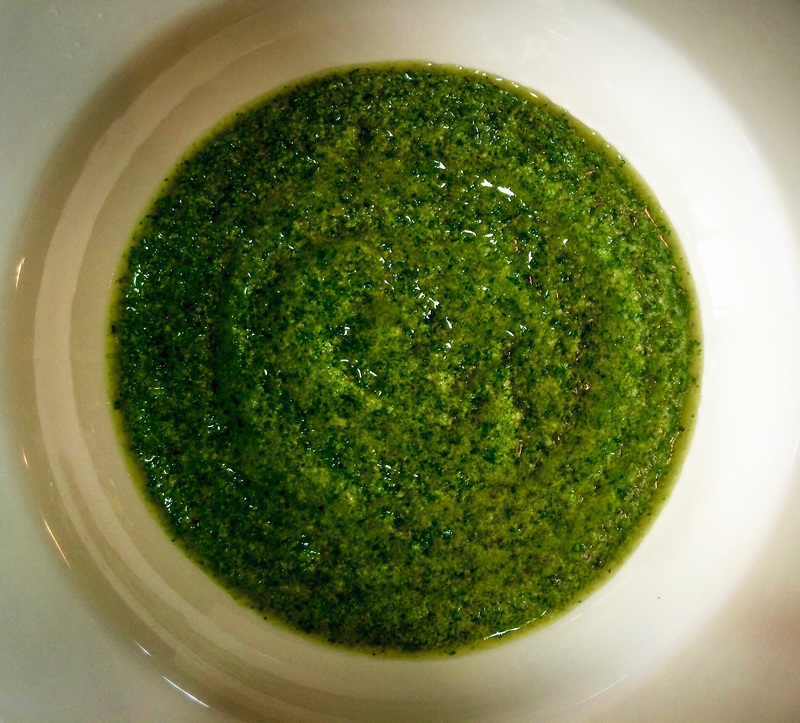 Now, that’s a very simple and yummy pesto! And, oh so versatile. 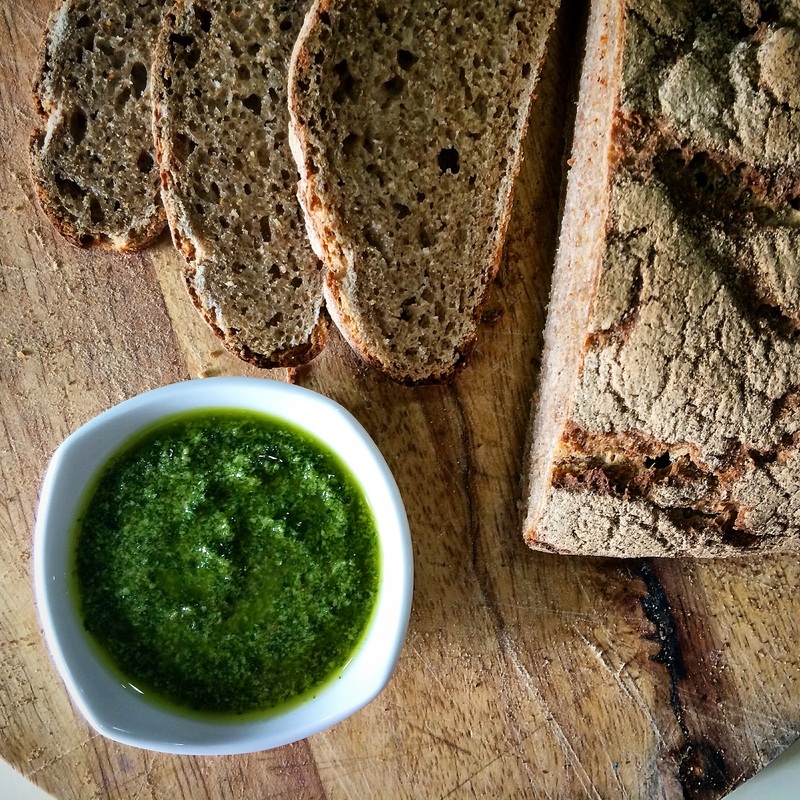 Pesto can be used virtually on anything; be it pasta, pizza, salads or even just a slice of yummy rustic bread! 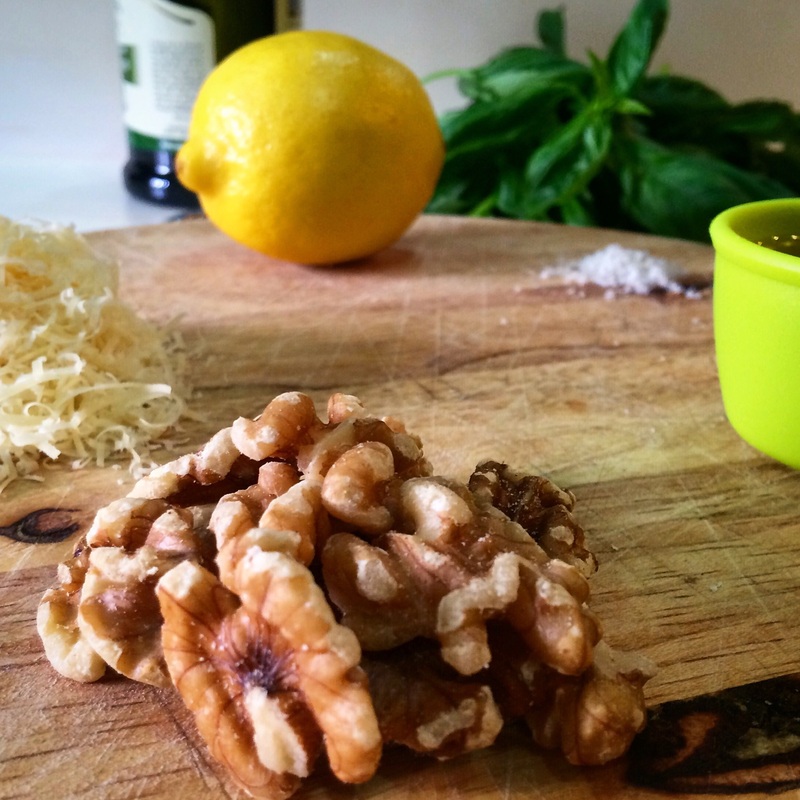 Sometimes it can be a little tricky to get your hands on pine nuts, which are traditionally used in making basil pesto, so I was looking for an alternative. 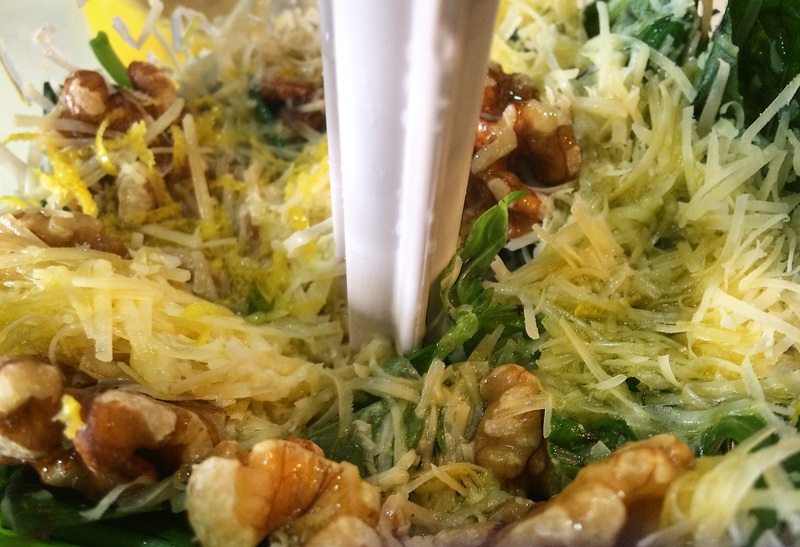 Walnuts made a great substitute. We all know about the benefits of good fats that come from good quality cold pressed oils and how wonderful they are for our skin and hair and overall health. There is no shortage of them in this recipe! Place all ingredients into a food processor and pulse. Voila and pesto is ready! 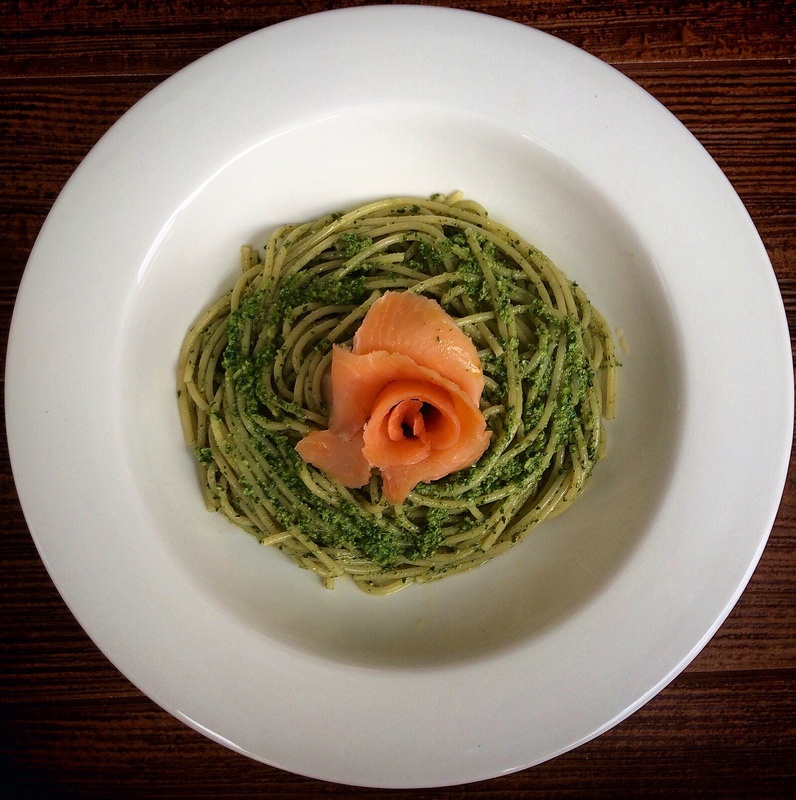 Mix in fresh pesto through cooked spaghetti, twirl a couple of slices of smoked salmon on top, and you will end up with a beautiful and delicious meal!